Over the weekend, teams were announced for the 2018 Motocross Des Nations. This event is similar to the Olympics or the Ryder Cup in golf. It begins with countries selecting their top three motocross riders to represent them in a two-day race held at the end of each season. This year, Motocross Des Nations will take place in the United States at one of the most historic locations in American Motocross, REDBUD! Americans have been known to view this race as an afterthought with riders looking for excuses to skip because it disrupts their offseason, but with the race being held on U.S. soil, we can expect Eli Tomac, Justin Barcia and Aaron Plessinger to be ready. These colors don’t run! This week was probably the most drama-filled selection since 1987, when the USA chose Bob Hannah over reigning 1987 125cc National Champion Micky Dymond. Fortunately for the United States, the drama was focused on France with a little comic relief provided by Puerto Rico. 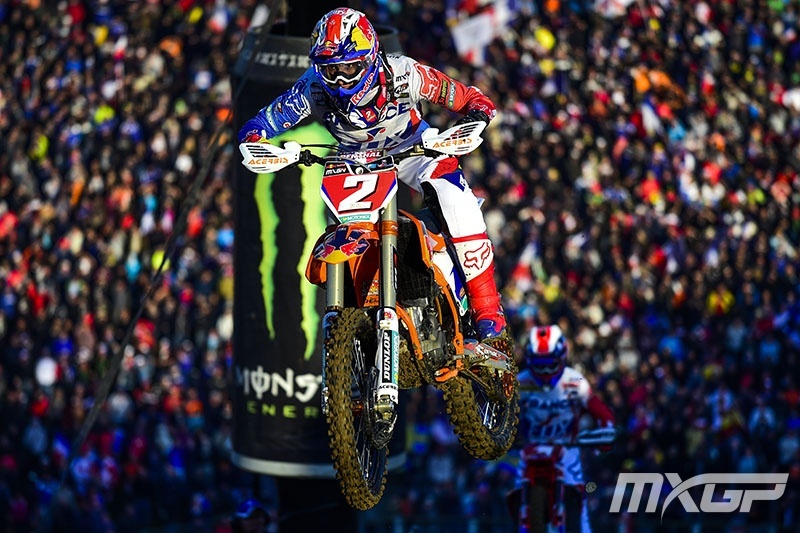 I have to begin with the lunacy of the French Federation in leaving Marvin Musquin off their team. Jacques Bolle [French Federation President] and the Federation really fumbled this one. The French team is facing their stiffest competition in years from the USA and are choosing to not send their three best riders. What logical reason could the Federation and Mr. Bolle have for leaving Marvin off the team? 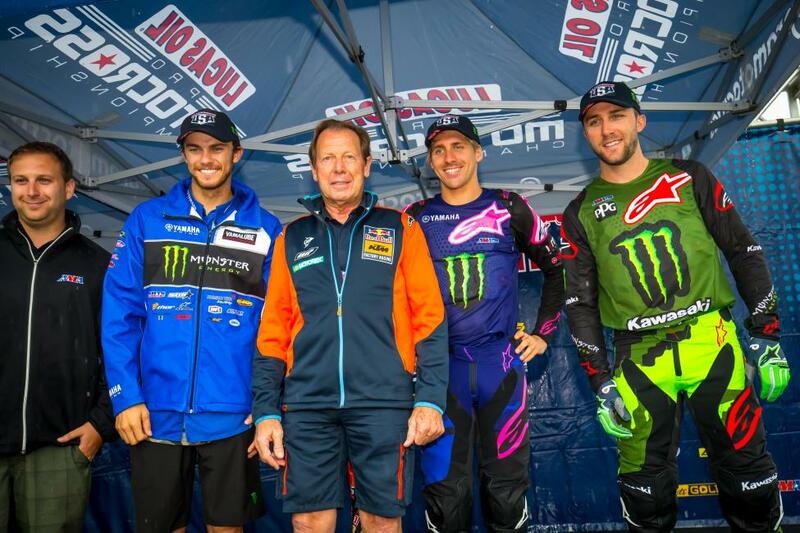 Mr. Bolle stated he wasn’t sure if Marvin was as motivated as Romain Febvre for the event. How about the fact that Marvin openly lobbied for the spot and won the last race held at the RedBud facility? What about the convenience of Marvin’s team already being based in the USA? What about the fact that Gautier Paulin cannot consistently break the top 5 in GP’s this year? Could either Febvre or Paulin podium, let alone win, in the USA this year? I will go ahead and answer, NO! I feel sorry for the French fans. With the team they chose, they are no longer the favorites to win. That honor now lies with Team USA. If the French Federation and Mr. Bolle were objective and put personal feelings aside, the French team surely would have been the favorite. It feels like they are entering this race with a built-in excuse; a better team is available, but they chose not to send them. By leaving Marvin off the team, they robbed the French fans of an amazing opportunity to watch the fastest French rider on earth race for their country. Not to be left out of the selection drama, Netherlands made their team much stronger and a definite contender. Along with arguably the fastest rider on earth Jeffery Herlings and his KTM teammate Glen Coldenhoff, they have added the South African native Calvin Vlaanderen. Mr. Vlaanderen holds a Dutch passport and Dutch license but is clearly from South Africa. The opportunity arose from controversy earlier in the year when the MSA [Motorsport South Africa] complained to the FIM because Vlaanderen used a South African flag on the podium without the MSA’s approval. Seriously, this happened! Now Vlaanderen is joining both Herlings and Coldenhoff at RedBud on the Netherlands team, and they will be a contender for sure. Now to the feel-good story of the Des Nations: Puerto Rico. What they are doing is so outrageous I thought for sure it was a prank. When I posted the picture to Instagram, I assumed it was satire, but it is actually happening. Puerto Rico has Travis Pastrana fresh off his Evel live blockbuster jumps along with motorcycle Renaissance man Ryan Sipes and their ridiculous and off-color third rider, Ronnie Mac–yes, the fictional character born into YouTube circa 2013, via Jimmy Albertson allegedly. 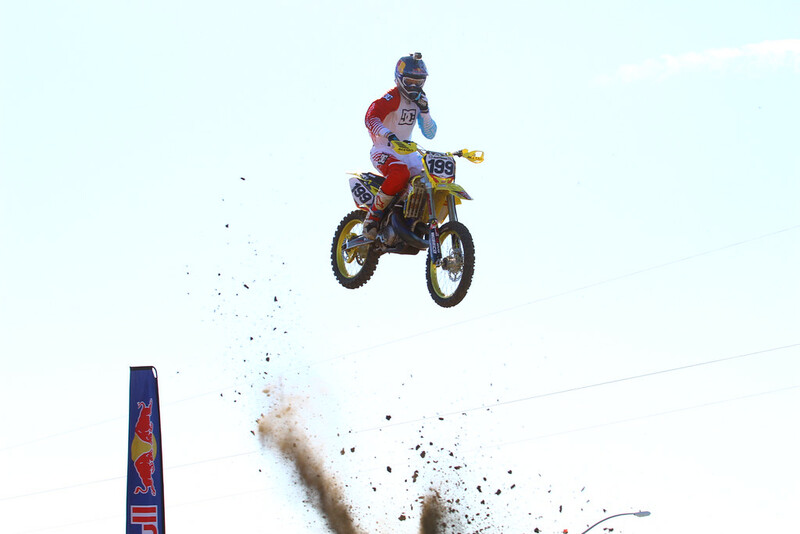 Ronnie Mac has gained worldwide fame and is somehow FIM legal to race the most prestigious race in the world. Surely, he can’t race after slamming beers, can he? What about the drug testing? They will be riding 2-stroke motorcycles against the best riders the world has to offer–with the exception of Marvin Musquin who is better than the entire French team. If that wasn’t enough, motocross icon Ricky Johnson is acting team manager, the same RJ who has dominated this race multiple times. Now before all the motocross purists’ heads explode, let’s be real. This team won’t make the A Main on Sunday, but they will have fun and hopefully raise a considerable amount of money for selected Puerto Rico charities. Puerto Rico is still recovering from extensive hurricane damage and can use all the help they can get. Merchandise and donations can be made at www.ronsontop.com; that is really the website they chose. You can follow me on Instagram at Chriscooksey61 or #cookseyshardtruth.